Toronto, ON – The Canadian Hockey League today announced the final results of the 2018 CHL Import Draft. 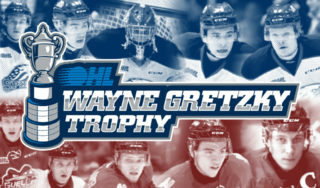 Of the 77 players selected, 27 were chosen by 18 different Ontario Hockey League teams. The two-round draft took place online with the order of selection rotating through each of the CHL’s three leagues using an inverse order of final regular season standings within each league from the 2017-18 season. The Saint John Sea Dogs used the first overall pick to select Slovakian forward Maxim Cajkovic, a 2019 NHL Draft prospect who spent last season with Malmo of Sweden’s top junior league while also starring for his country at the IIHF World Under-18 Hockey Championship. The Edmonton Oil Kings used the second overall pick to select Belarusian forward Vladimir Alistrov who, like Cajkovic, was a standout at the IIHF World Under-18 Hockey Championship for his native Belarus. At third overall the Sudbury Wolves chose the first goaltender of the draft, selecting Buffalo Sabres second round pick Ukko-Pekka Luukkonen who spent much of the past season with LeKi of Finland’s Mestis league while also representing his country at the IIHF World Junior Hockey Championship. The 2018 CHL Import Draft featured 12 players previously selected by NHL teams in 2017 and 2018 drafts, with eight of those players headed to OHL teams. Of that group, five players were selected at the 2018 NHL Draft in Dallas this past weekend including second round pick Axel Andersson (57th, Boston) chosen 51st overall by the Kitchener Rangers, third round pick Jan Jenik (65th, Arizona) chosen sixth overall by the Flint Firebirds, fourth round picks in forward Matej Pekar (94th, Buffalo) chosen 108th overall by the Barrie Colts, goaltender Ivan Prosvetov (114th, Arizona) selected 15th overall by the Saginaw Spirit as well as British standout and seventh round pick Liam Kirk (189th, Arizona) who was chosen 9th overall by the Peterborough Petes. The selection of Kirk sees Great Britain return to the CHL Import Draft for the first time since 2010 when the Ottawa 67’s selected forward Robert Farmer with the 44th overall pick. A total of 40 players selected in the 2018 CHL Import Draft are first-year eligible for the 2019 NHL Draft including 10 among OHL picks, while six players selected are not eligible for the NHL Draft until 2020 including three among OHL picks. Each team in the CHL is permitted to dress and play a maximum of two import players each season who are selected annually through the CHL Import Draft. 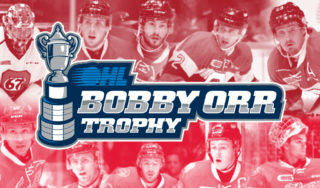 A total of three OHL players acquired through the CHL Import Draft were recently selected in the 2018 NHL Draft including Carolina Hurricanes second overall pick Andrei Svechnikov of the Barrie Colts, Toronto Maple Leafs 29th overall pick Rasmus Sandin of the Sault Ste. 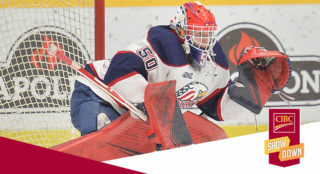 Marie Greyhounds and New York Rangers 101st overall pick Nico Gross of the Oshawa Generals. 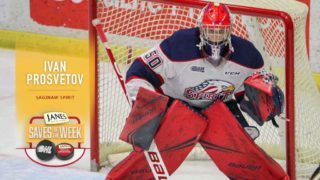 Last season OHL teams selected a total of 25 players from nine different countries led by seven players from Russia and consisting of 15 forwards and 10 defencemen.